The Director of Faith and Mission at De La Salle College Ashfield, John Dunn has had a remarkable journey as a Lasallian which stretches back to his time as a primary school student in the 1960s and then as a teacher across three Sydney schools. Initially trained as a Science Teacher, Mr Dunn has spent most of the past forty years in the profession and largely in Lasallian schools. He has held the position of Lasallian facilitator at three Sydney schools- De La Salle Caringbah, La Salle College in Bankstown and his current school, De La Salle Ashfield. An Old Boy of De La Salle Colleges at Caringbah and Cronulla, he believes the Brothers had a powerful influence upon his career path. "I had an old Irish Brother as my teacher at Caringbah, Br Dermot Brosnan who had an incredible influence on me, along with Br Ray Ryan or Br Killian as he was known back then and they were both fantastic role models", Mr Dunn explains. "Then at Cronulla, I was there before the school went coeducational and I remember what a great mentor Br Celestine Gavin was to the students when he was Principal in the 1970s", he added. "Br Celestine encouraged the students to aim high and the school started getting outstanding results, producing many doctors, lawyers and engineers". It was that sort of encouragement that helped John Dunn win a Commonwealth Teachers' Scholarship and after graduating he was initially sent to work at a boarding school near Leeton in rural NSW. But after two years he returned to Sydney and his fond memories from his school days led him to take up a job at his old school, De La Salle Caringbah in 1981. It marked the start of a decades-long commitment to Lasallian education, broken only by a short stint in a Marist school in the 1990s and three years in the legal profession. Mr Dunn's zeal for the Lasallian mission has extended well beyond Australian shores and includes months of formation at the Mother House in Rome and as a lay representative for the Pacific Asia Regional Council (PARC). Through the SIEL program in the late 1990s, widely known as the International Lasallian Studies Sessions, John Dunn had the opportunity to spend three months immersing himself in Lasallian studies in Italy. 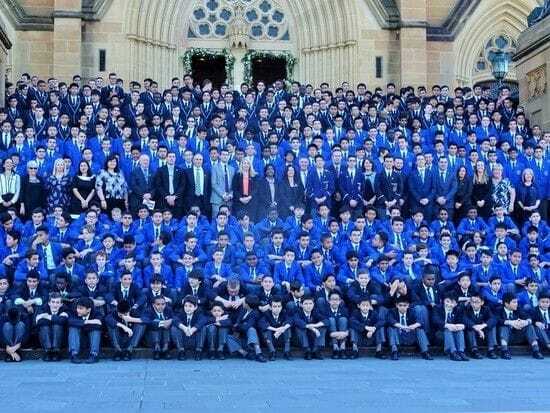 "It was definitely the most formative experience I ever had and I quickly realised the global extent of the Lasallian family which I wasn't as conscious of from my work as a teacher in Sydney", he added. "I came back filled with zeal for the Lasallian mission in Australia and have still kept in contact many years later with some of the French and American Brothers I met through that program". As a long-serving Lasallian teacher, John Dunn has become a committed mentor to new members of staff who will have the responsibility for keeping the charism alive in schools over coming decades. "And if we don't take our charism seriously, then we're no different to any other school", he explains standing next to a newly crafted statue of the Founder in the college courtyard at Ashfield. "As Lasallian teachers, we always need to care for students who may not only be financially disadvantaged, but spiritually or emotionally disadvantaged as well", he adds. 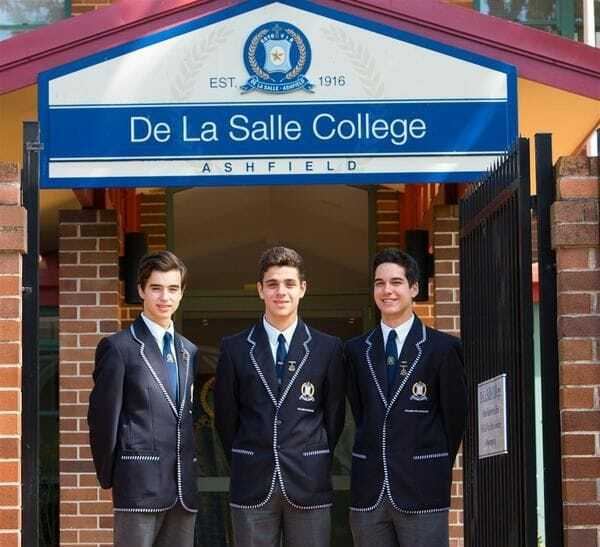 "These students should be treated as the princes of the school because they are as De La Salle would remind us, the students in greatest need and we have a responsibility for all the students entrusted to our care".